Notes: The front and back of another postcard from my recent eBay haul. 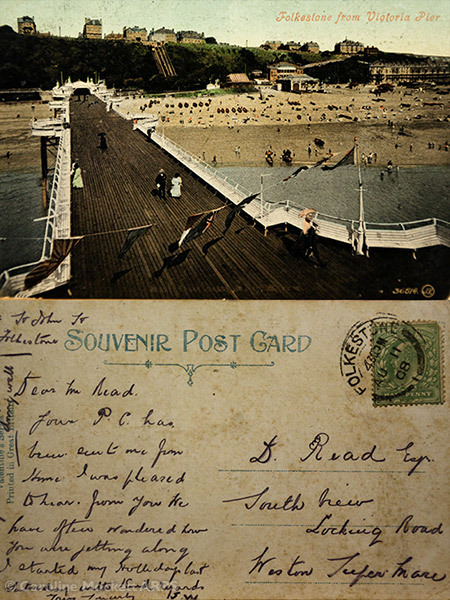 It shows the now defunct Folkstone Pier in its heyday. I just had to photograph it today, exactly 106 years after it was posted.